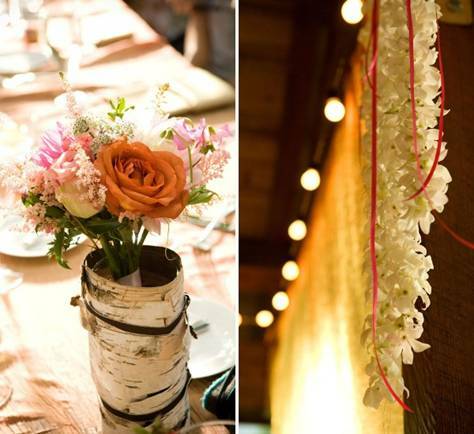 Let’s say we’re going with a shabby chic sorta über girly/rustic vibe. 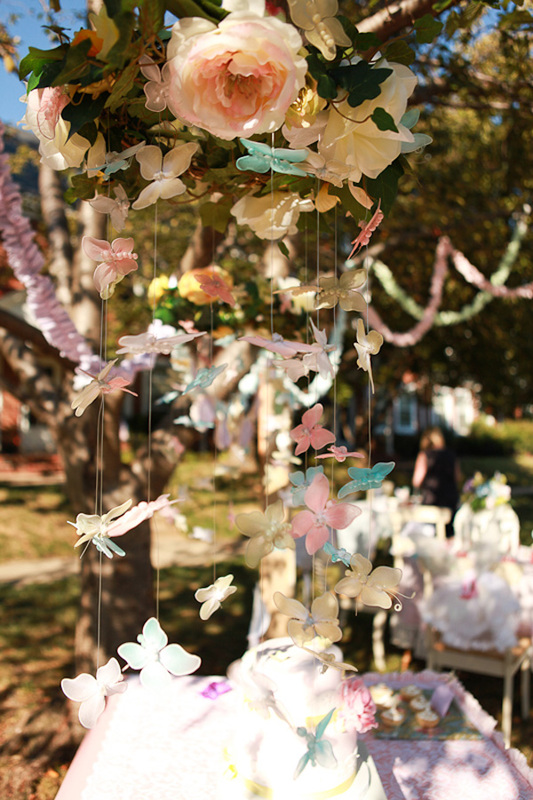 You can use whatever colors you want but I do like the airy-ness of the above look. It reads very romantic with all white linen and white sheer panels that could be draped over your bed (or buy a bed canopy). Of course no one is suggesting you have rose petals scattered everyday but you can have flowers in vases on your dressers, chest of drawers or night stand. Look closely at the blooms below. They appear to be coming out of bark. You can purchase faux bark at various stores online (google bark vases or something similar) and either buy faux flowers from Michael’s or treat yourself to real ones each week from your local grocery store. Placing them on mirrors with candles gives off a real girly vibe. PEACOCKS!!!!!!! ok, that has nothing to do with the theme but notice the centerpiece also has blooms billowing out of tree bark. Obviously this look is too big for the bedroom but a smaller scaled version of it could work just fine. 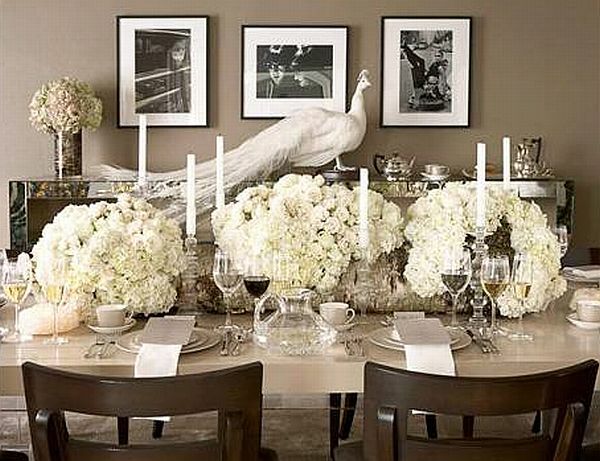 The candle holders in that tablescape can be purchased from one of my favorite stores online. 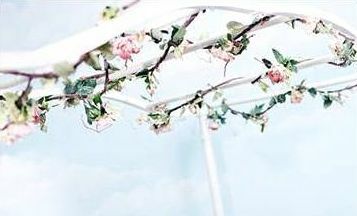 Twisting greenery like ivy w/rose blooms over bed post or the top of a window balance can create the look above. You have to have a good eye for faux flowers though because often times this can come off extremely cheesy. 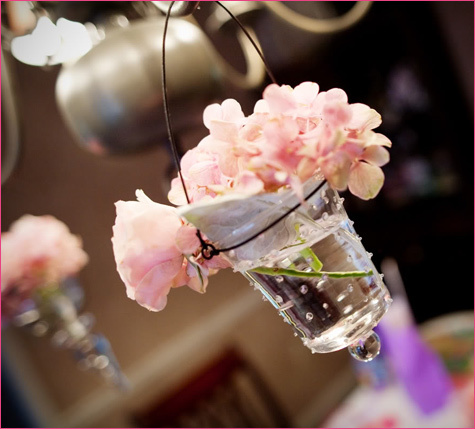 Stay clear away from any faux flower with the dew drops on them. I cringe whenever I see those. 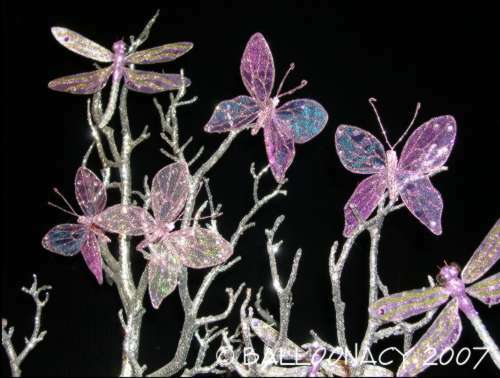 Add butterflies and dragonflies to it…..not a ton but just a few and sporadically place them. The thing with adding the bugs and wings if done incorrectly, it can look very kiddish. I like the glittery kind below. 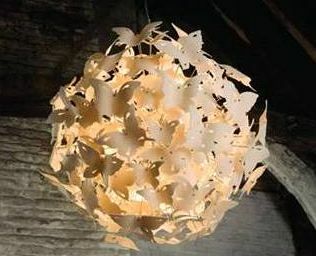 Now I know this is butterflies but isn’t this a cool chandelier? How about the brick wall in the back? This would really take on a woodsy theme if there was a brick wall or stone wall in the room, bringing out all the earthy elements. If greenery vines aren’t your thing you can always purchase intertwined branch wreaths from craft stores or even Dollar tree to create the looks below. Now the pic blow was from a child’s party. You can twerk the look by hanging vases at different levels from the wreath. 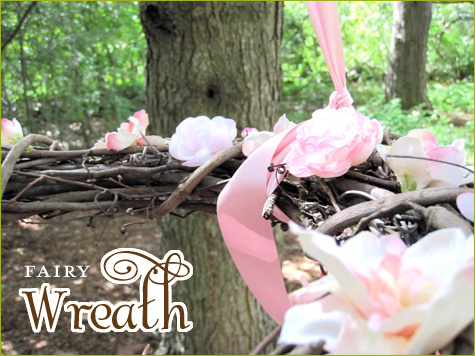 Place a flower or two in each and when the wreath is hung, you have a cascading “mobile” of sorts. Finish with a few winged critters on some. 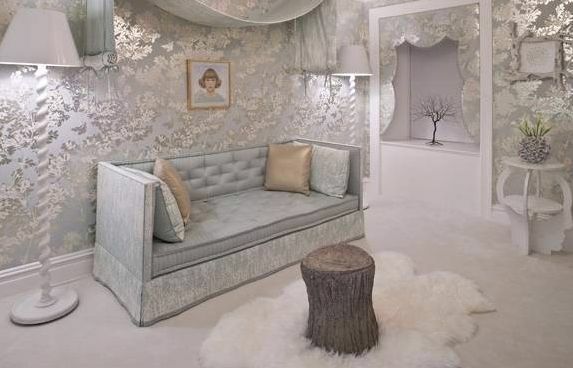 Depending on if you rent or own, try jazzing up the walls w/wallpaper that have leaves or branches on them. Read my post on other ways to use wallpaper (if you rent) here . Below is another example of leafy wallpaper. They have a ton of texture going on which is important if u chose to do a monochromatic scheme. If the realness of the tree stomp is too much for you try this modern metallic table. 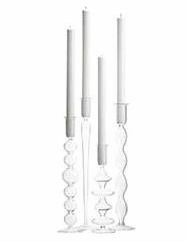 Buy some string lights in white and place some of them inside a vase (get vases from the low at tjmaxx, marshalls ) & again the firefly sparkly dusk look. 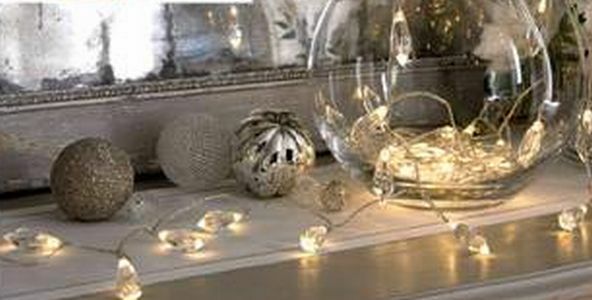 Hang string lights over your doors, behind your bed like a headboard or over your sheer window panels. 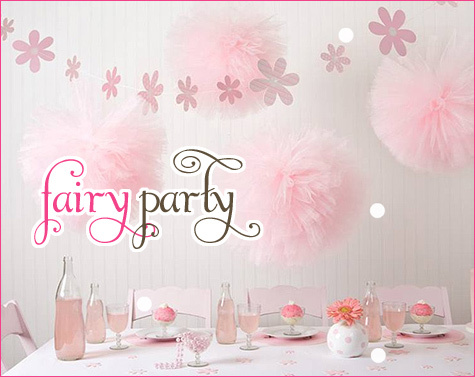 Tulle pom poms hung from the ceiling (in the corner or over a desk table maybe) . 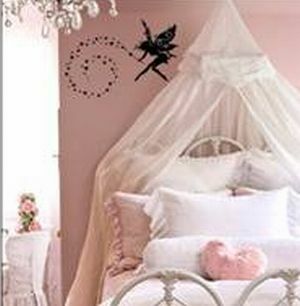 The canopy over the bed is like the tulle fairy skirts. 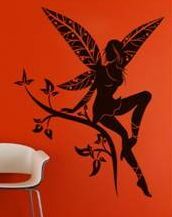 Vinyl removable wall decals are all the rage right now and an alternative to the usual framed art. They have an abundance of places online ( a simple yahoo search would find them) or any store from Target, to Department Stored, craft stores & World Market. They even have removable mirrored stickers. 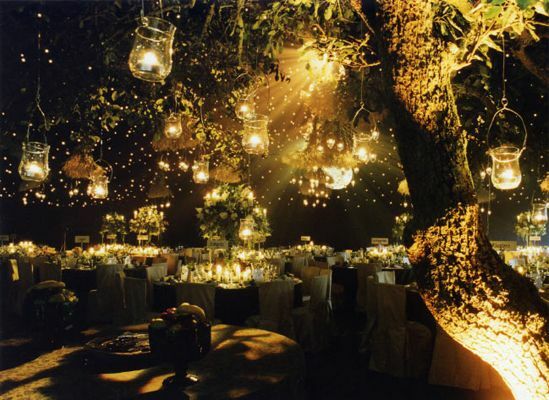 See how they have these outdoor trees lit below for this enchanted forest party? 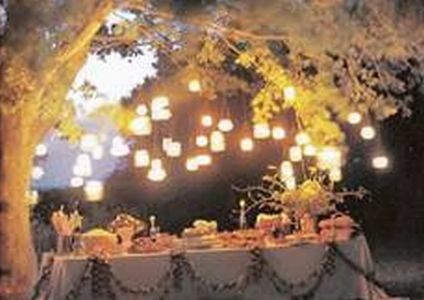 You can purchase up lights from home improvement stores for whatever faux tree u buy that can give yours a glow as well. 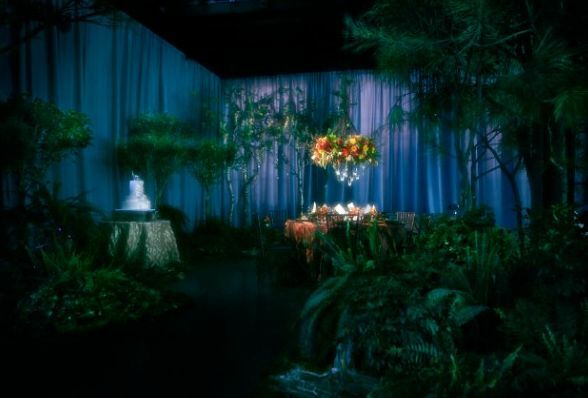 Lastly, I stumbled across an enchanted themed wedding. This is simply for your visual pleasure. 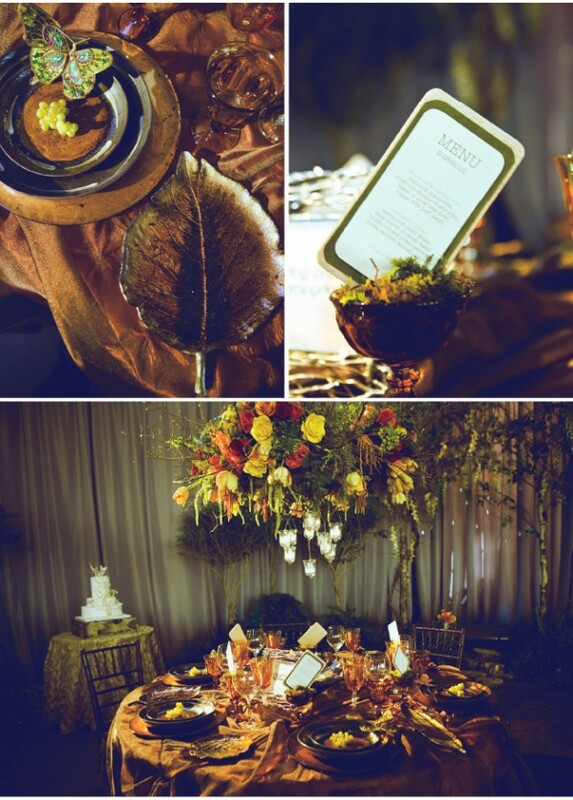 From moss to leaves, branches and trees, the designer created an elegant woodsy vibe. Cool. If I find out where to get one I will surely let you know. I’m glad I could be of assistence & if you recreate it please, share pics! !